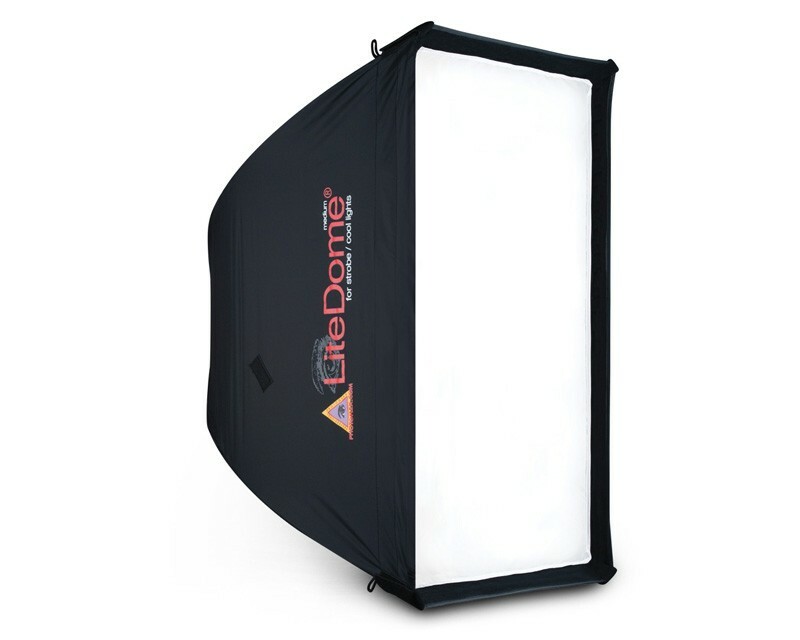 White interior soft box designed for strobe lights. Great for full-length and group portraiture. Highly recommended for product and still life photography. Size is 24.5 x 32 inches. The LiteDome®: medium consistently delivers even, natural light from your strobe unit. The face of the LiteDome: large is 62 x 81 x 43 cm. Our patented Quick Release Corners (QRC) make setup and teardown a snap. Loop hooks are sewn into the outside of the dome to allow for hanging the SoftBox from above using block and tackle.